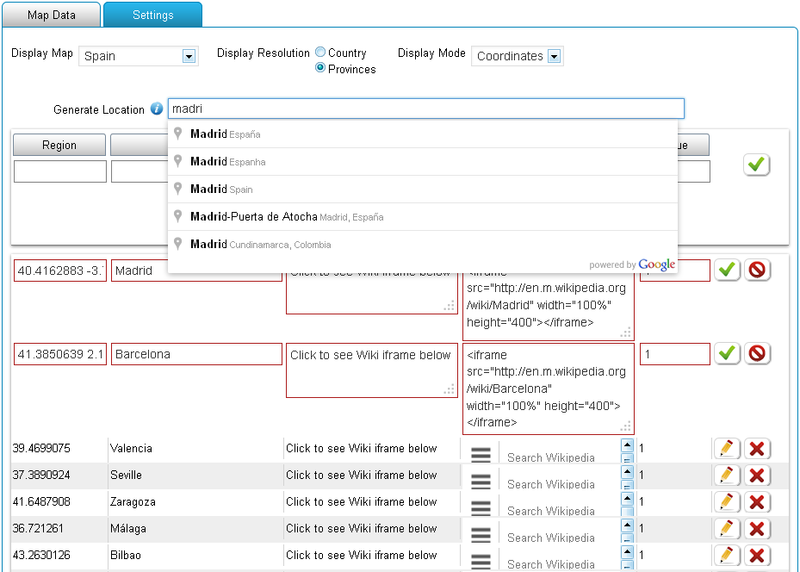 Interactive Map of Spain for WordPress (Mapa interactivo de España para WordPress). Onhover of active region displays its name in tooltip. Onclick of the Spain most popular cities displays information from Wikipedia.org mobile (in iframe) below the map. With Google maps zoom.